I applied 3 coats of OPI Pedal Faster Suzi! and 1 coat of Nine Zero Lacquer Stocking Stuffer on all my nails except the ring finger where I applied 3 coats of KBShimmer Get Clover It instead. 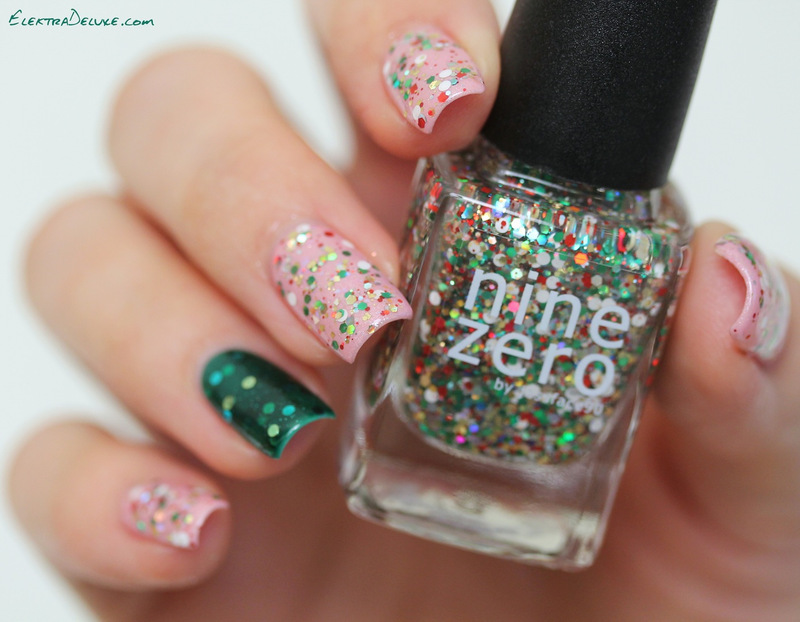 Have you tried Nine Zero Lacquer yet?